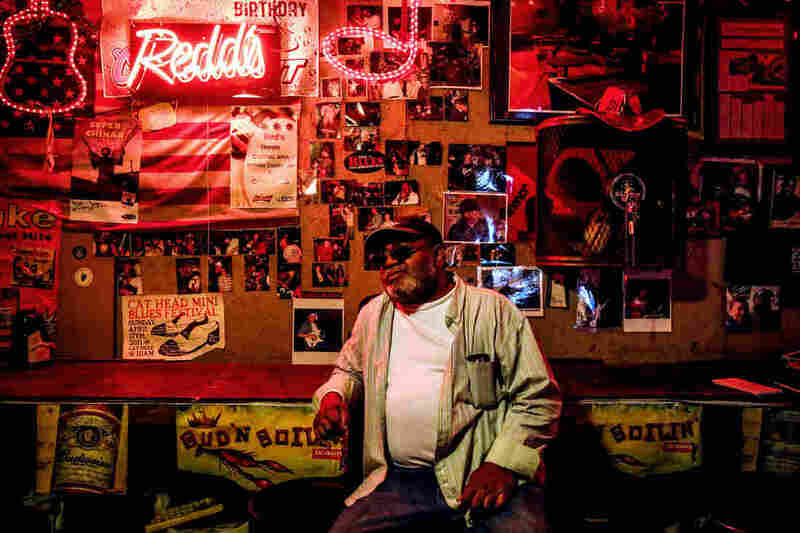 A Night At Red's Juke Joint In The Mississippi Delta Is A True Blues Experience A visit to a classic, hole-in-the-wall blues bar in Clarksdale, Miss., where owner Red Paden enlightens us about the blues and the Delta. Red Paden in his juke joint in Clarksdale, Miss. "The blues is my heritage. I come up on that," says Paden. "Blues is something to do with the trials and tribulations that you go through. And when you can get out there and sing about it, you know, it makes the day go by quicker." Click the link above to listen to the full story. The "Our Land" series is produced by Elissa Nadworny.